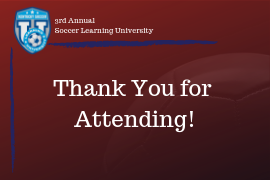 Kentucky Youth Soccer has awarded John and Sue Gompper Founders Scholarships in excess of $44,000 for students planning to attend a post secondary educational institution (PSEI) since 2009. The basis for awarding of the scholarships will be community service and giving back to the game. Participation in soccer at the collegiate level is not a prerequisite. 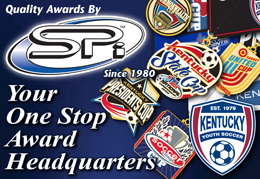 Kentucky Youth Soccer will award one-time John and Sue Gompper Founders scholarship up to $1,000 each for students planning to attend a post secondary educational institution (PSEI). The basis for awarding of the scholarships will be community service and giving back to the game. Participation in soccer at the collegiate level is not a prerequisite. Scholarships will be paid directly to the PSEI. Seniors in high school when the application is submitted. Those students who are currently enrolled in a PSEI (or the equivalent) as a senior in high school will not be excluded from consideration. Participation (as a player or referee) in a Kentucky Youth Soccer program during the applicant’s junior or senior year. Minimum cumulative grade point average of 3.0 in a college prep curriculum. 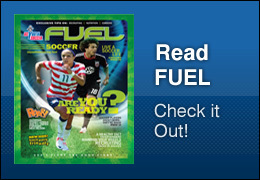 Demonstrate active service to his or her community and a strong desire to give back to the game of soccer. *Note that due to NCAA Bylaw 15.2.6.3, individuals who will be playing Division I soccer are no longer eligible to receive the John and Sue Gompper Scholarship. Those who will be playing Division II should ensure eligibility prior to applying for the scholarship. The 2019 Application process is now closed. We will begin reviewing applications and notify applicants by June 28, 2019. Submit the following items by mail to the Kentucky Youth Soccer Office or by email to Holly Kirkpatrick at hollykirkpatrick@kysoccer.net. 3. No more than two letters of recommendation from the following: teacher, principal, coach, counselor, or community leader. A phone number and email address of the person(s) completing the letters of recommendation should be included in the letter(s). All materials submitted with the application will not be returned.